So, your Arduino DUE just came in the mail. 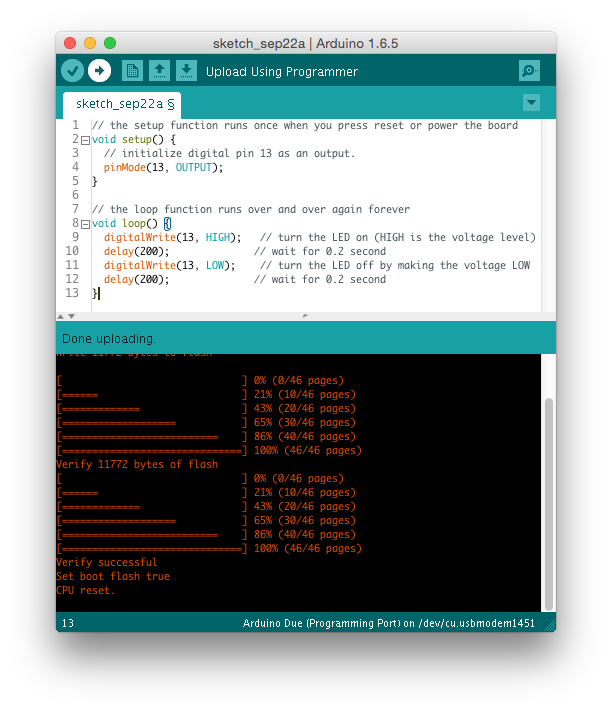 You're all excited, you unpack it and connect it to your USB, Open the Arduino IDE and you go to Tools → Board. 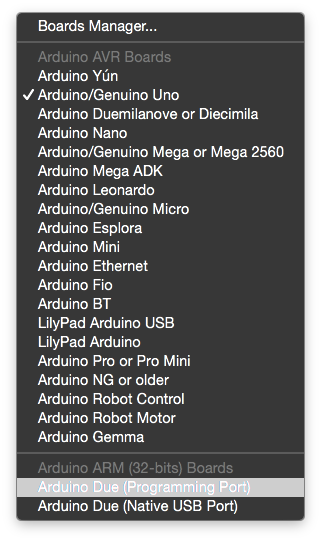 The Arduino DUE is missing from the list. 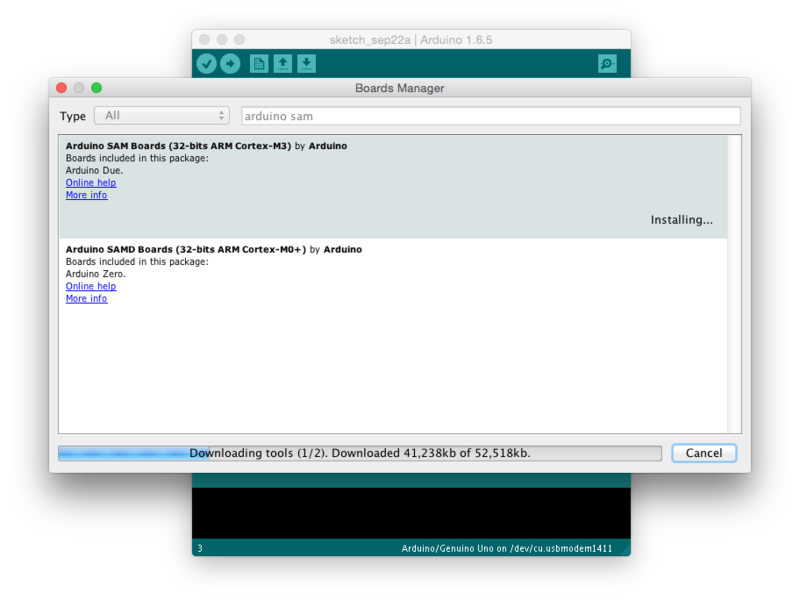 Here's how you install the software for the Arduino DUE. Type Arduino SAM in the search box. Click on the Arduino SAM Boards (32-bits ARM Cortex-M3) and hit install. It may take a while, you'll need to download ~50Mb. Once it's done, you'll see that package as installed. Good! 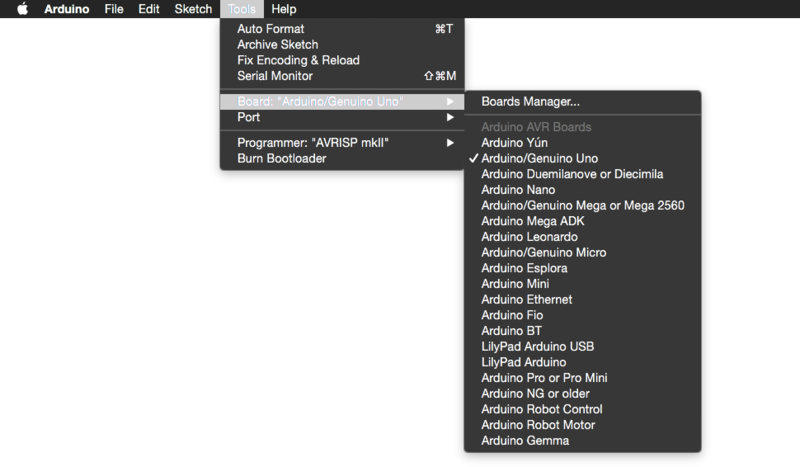 Now go back to Tools → Board and you'll see Arduino DUE listed at the bottom. Select it and you're done! Make sure you've connected the Arduino DUE to the port labeled PROGRAMMING port at the bottom of the board. Select the correct Port in Tools → Port as shown below. Arduino DUE comes with an on-board LED that you can control on the digital pin 13. Let's use it! Copy and paste the following code into the IDE. Hit the upload button and let it upload.